Lane & Shelton Roofing & Construction is the Number One Roofing business in Southern Illinois. Kevin Shelton the Owner of Lane and Shelton Roofing & Construction has been roofing almost all of his life. Over 31 years of experience and over 21 years in business, you can guarantee he will have the team ready for any project. We are a family owned and operated business, and have had the same team for many years helping customers all over Southern Illinois. You can expect our team will keep be neat, clean, and efficient when working at your site. We are fast and fully insured, so make sure you choose Lane and Shelton Roofing & Construction for your roofing needs. Whether your Roof is leaking, or you are needing work on your siding and gutters, we have you covered! Our work comes with a 5-year workmanship guarantee. So what are you waiting for? Call Lane and Shelton Roofing & Construction today and get a free estimate! That is right, we offer Free Estimates! 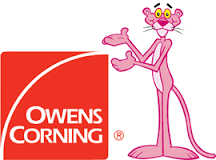 Don’t pass up this opportunity to have the NUMBER ONE Roofing business around satisfy all of your roofing, siding, gutter needs today! 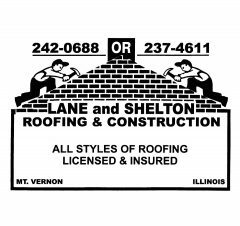 Give Lane and Shelton Roofing & Construction a call today at 618-242-0688 or call Kevin at 618-237-4611!